You see creating a taco is an art form. For maximum pleasure everything needs to be just perfect, and the order in which you arrange your taco toppings is extremely important. I eat tacos a lot; I would say on average at least once per week and sometimes 2-3 times per week depending on leftovers. I was diving into a plate of hard shells a few weeks ago and had an idea that I would survey a few of my friends that are passionate about Mexican food. I knew the results would be varied, but honestly I got way better responses that I expected. The rules were quite simple. I'm going to give you a very simple list of options to put together the perfect taco. What I need you to do is reply with your selections, but more importantly I need you to tell me the order of which you would make your taco. Shell: hard, soft or corn? The results are amazing and all responses are listed below. Feel free to read them over as they are certainly worth the time, but also feel free to skip to the business lessons section at the end. 6. hot salsa on top! 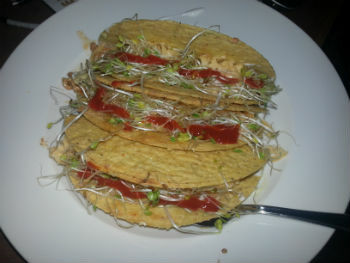 If I am in the mood I smear refried beans over a warm soft shell and wrap the hard shell taco up. Boom, double decker! In between cheese and lettuce I microwave for 22 seconds to melt the cheese. This is the greatest survey I've ever done. Cheese, meat, sour cream, pico, lettuce, hot sauce, no guac. Cheese goes first so the weight and heat of the meat melts it and gives you better odds of having the cheese be fully melted by the time you finish making it and start eating it. I believe my life's mission is to seek out the perfect taco. Interpret that how you will. Hard shell corn- I have been into the blue corn organic ones. Cheese, beef, pico, guacamole, hot sauce. The cheese holds together the shell if brittle, which can be slightly melted by the warm taco beef. 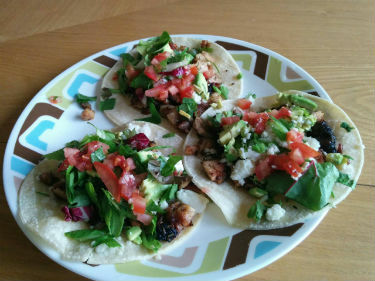 Lettuce has no place on a taco, that is called taco salad, sour cream is gross; both are omitted from my perfect taco. Pico, topped by guacamole (or just straight avocado) with hot sauce to garnish. I think cilantro should be on the list. Or is this included in the pico? "Never underestimate how much assistance, how much satisfaction, how much comfort, how much soul and transcendence there might be in a well-made taco and a cold bottle of beer." I'm honored to take part in this case study. Based on the meat choices you provided, I go to the trusted hard shell. Normally I would choose a perfectly cooked soft shell, but when ground beef is the meat choice - the hard shell is a must. It provides the best texture to compliment the meat and added security. As for toppings, the cheese goes on the bottom and meat on top so the meat can melt the cheese. Next is the lettuce (but you must only put a few tiny shreds on the taco for texture) next comes the hot sauce, followed by the pico. This technique allows the crispy lettuce to dress the meat giving the perfect texture and the hot sauce works in evenly to both the pico and lettuce. The hot sauce becomes balanced here. You can then top with either a little guacamole or a little sour cream but not both. Like in business, KISS (keep it simple stupid) as the best dishes always have 4-6 ingredients. 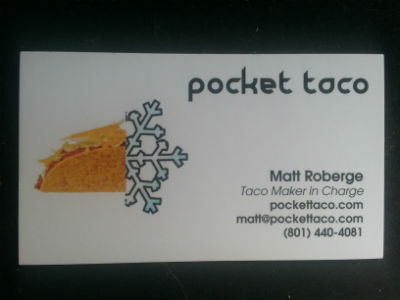 Ok so let's get down to business; what the heck does making a taco have to do with business? Secondly, why is the order so important? If you read through the responses above you probably noticed some of the same things I did. I fully expected to get an array of answers to my question, but I didn't expect to get a full detailed description of how they prepare their tacos. If you read them some people really got passionate about it; so passionate that they had to tell me how many shreds of lettuce to put on it. One person drops an author quote; are you kidding? And someone needs to specify you heat for 22 seconds (not 30!). Another thing I noticed is that people were sure to let me know if I left something out. I didn't include ground turkey or cilantro on my list of options but people felt so strongly about them that they wrote them in. I even had a person submit their answers whom I had not sent the survey to. They found out through the grapevine and wanted to give me their input. Can you feel the passion oozing off the page? People care about the details. Do you know your prospects this well? Do you know your customers this well? Do you know your employees this well? Do you know your business network this well? Do you know yourself as a business owner this well? Can you see how knowing the intricate details of what your customers, employees and yourself care about is advantageous? Can you see how that could be important to the success of your business? Knowing the details of all the facets of your business and using those to your advantage will help you drive everything in the right direction. Let me give you an example. If you had been trying for months to score a dinner with Mark Roberge, the Chief Revenue Officer of Hubspot, do you think it would be advantageous to know that his favorite restaurant is Mendy's? When you finally did get the appointment wouldn't you impress him if you made reservations at Mendy's? Just don't hold it against him if he only orders soup, it still counts as a meal. Three hard shell and you need to put them in the oven or toaster oven to heat them up, but it takes careful monitoring so you don't burn them. If you do burn the shells discard them and try again. Next you spread sour cream on the bottom of each hard shell with a butter knife. The butter knife is essential because it allows for even distribution of the sour cream and is easy to get in the hard shell unlike a spoon which rookies use. Next get that ground beef on there. Follow up that ground beef with the shredded cheese. Next put the pico de gallo on with a spoon. A side note here is that if you are at a place where your hosts insists you use a spoon for the sour cream and then the same spoon for the pico or guacamole call a penalty. This is wrong, all toppings need a separate utensil; I hate when the sour cream gets anything in it. The next step is putting some shredded lettuce on your tacos and then topping that with the hottest damn sauce you can find. Bamm the perfect taco! What is your perfect taco?